Chennai-based bike maker Royal Enfield will be introducing something special on August 28, 2018, as per an invite by the company. While the company has revealed little about what the launch is all about, it is expected that the manufacturer will be launching a special edition Classic 350 tomorrow. The Royal Enfield Classic 350 Special Edition is expected to be inspired by the Indian armed forces, and will be bringing a chapter from the motorcycle maker’s history. Earlier this year, Royal Enfield introduced the Classic 500 Pegasus Edition to celebrate its association with the British armed forces during the World War II, and you expect a similar insight into the brand’s legacy with the upcoming special edition as well. While Royal Enfield hasn’t revealed any details yet on the special edition model, the Classic 350 special edition is expected to get new military inspired brown and blue colours, inspired by the Indian Army Corps of Signals. The Indian armed forces division overseas military communications. 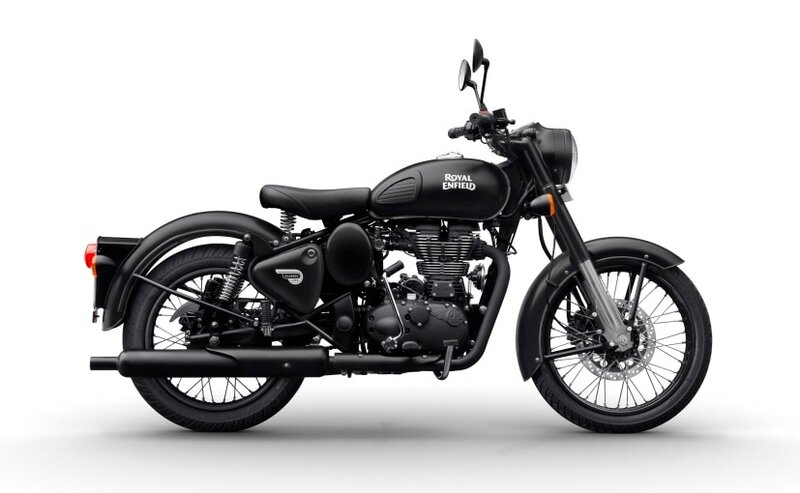 The special edition is likely to carry stencilled serial number on the fuel tank, similar to what we saw on the Pegasus and the Indian Army Corps emblem too. Rumours also suggest that the Royal Enfield Classic 350 Special Edition could also come equipped with ABS. The safety feature has been long due on the motorcycle and will be a big welcome. Apart from ABS, the Royal Enfield Classic 350 special edition will continue to use the same 346 cc single-cylinder, air-cooled motor that produces 19 bhp at 5250 rpm, and 28 Nm of peak torque available at 4000 rpm. The motor comes mated to a 5-speed transmission. Suspension duties are handled by 35 mm telescopic forks up front and twin gas-charged shock absorbers at the rear. Braking performance comes from 280 mm single disc at the front, while the rear is likely to come with the 240 mm disc. Expect the Royal Enfield Classic 350 Special Edition to command a substantial premium over the standard model that retails at ₹ 1.39 lakh (ex-showroom, Delhi). The special edition model is expected to be priced at a premium of around ₹ 20,000. We will be bringing you complete details on the model from the launch, so make you sure to keep watching this space for all the details.